Our household (or lets be honest, Erik & I) are obsessed with Halloween. We love fall in general because it’s finally jeans and cozy long sleeves weather, a hot coffee in the afternoon time of year, everything at Trader Joe’s is pumpkin flavored, and the holidays are pretty great, just to name a few. 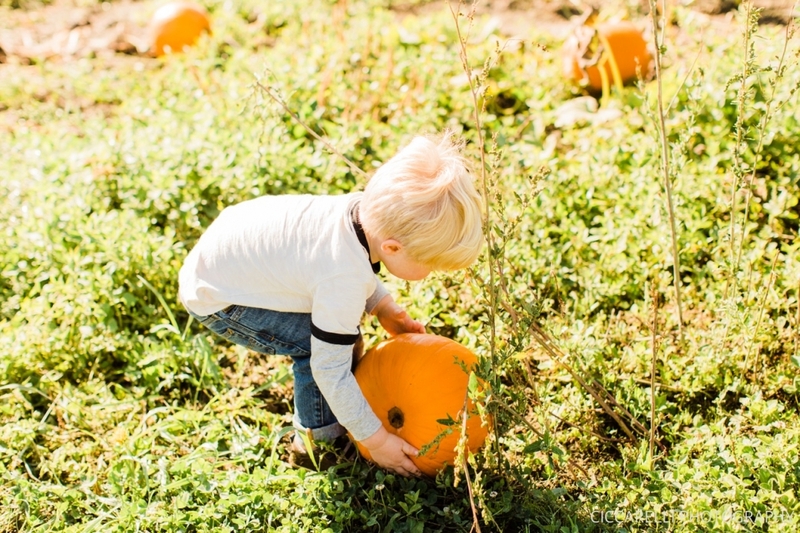 This year we added another cute pumpkin to our bunch so we had to show him the ropes. First up, the pumpkin patch! 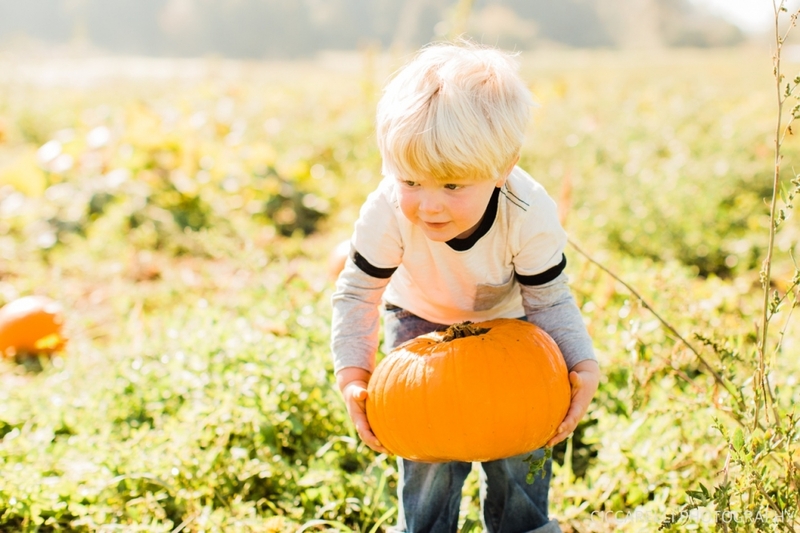 Bryce loved trying to pick up any pumpkins he saw. Rhys was not a super fan of the pumpkin patch. He mostly wanted to crawl in the mud and when we didn’t let him he was a bit sulky (and mean mugged for our pictures, see below). 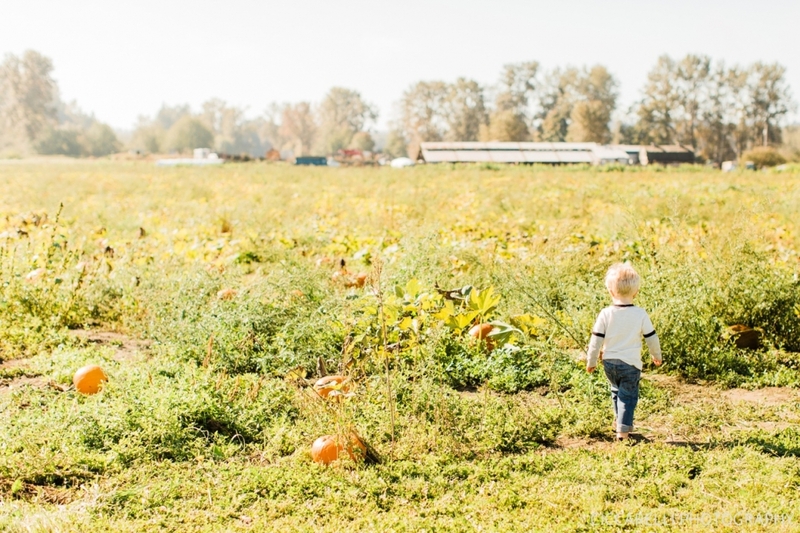 We still had a ton of fun on one of the only sunny days of the month at the pretty-much deserted patch and brought home way too many pumpkins for our porch. And this is why we don’t have photos of the boys together…hard hugs.